Install Android 8.0 Oreo on Pixel and Nexus Devices Right Now! Google has started to roll out final and public version of Android 8.0 Oreo to compatible Nexus and Pixel devices. Can’t wait for the OTA notification? Here is how you can install Android 8.0 on your Pixel and Nexus devices right away. Create a backup of all your important data. Make sure ADB / Fastboot is configured and properly installed on your computer (link). Download and install USB drivers for your device on your computer. The bootloader should be unlocked. Finally, ensure that your Nexus or Pixel carries more than 70% of charge. Required files: Download Android 8.0 OPR6 factory images for your device from here. Connect your phone to your PC using a USB cable and turn it off. Now, start the device in Fastboot mode: Press and hold Volume Down and then press and hold the Power key (check out the correct key combination for your device here). Extract the downloaded Oreo file anywhere on your PC. Go to _OPR6_ folder and copy/paste all the files to your Fastboot directory (which often is the platform-tools folder inside the Android SDK directory). This step involves flashing the factory image to your device. Open the folder containing the factory image downloaded and extracted. In the address bar, type cmd and type the command written below and press enter. 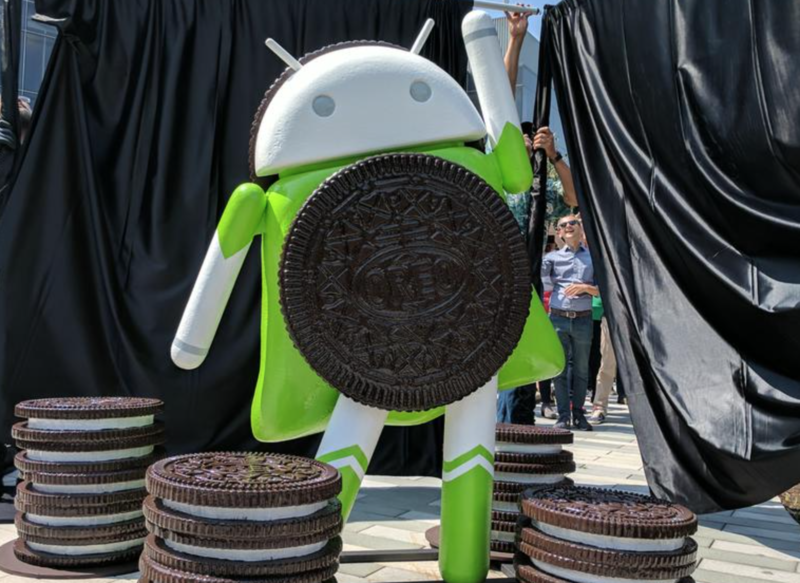 Your device will now reboot after installing Android 8.0 Oreo. Not sure? Check out all the details over at Google. 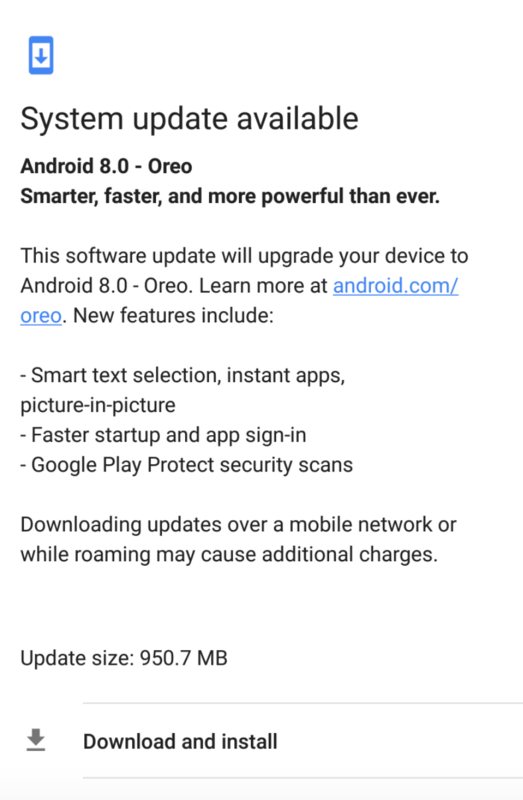 However, if you aren’t confident about manually flashing Android 8.0 Oreo on your device, you should wait for the OTA notification as many users have already reported receiving the 950MB heavy update. If you have already received the update officially or have flashed it manually, don’t forget to share your thoughts on this latest Android version.